It’s a dilemma no Washington politician wants to confront—rescuing 5,000 Americans trapped in Baghdad. Enter a crusty Marine, embattled Army officer, two Turkish spies and the ultimate cyber-warrior tasked with countering an ISIS regime carving out a new caliphate. Can they rescue an American embassy under siege by a weapon that even Washington’s military might can’t defeat? This is indeed a test of sheer will and technical expertise pitted against national pride and suicidal zealotry. 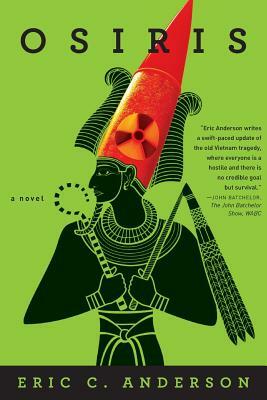 OSIRIS takes readers on a twisted path from the glittering palaces of Qatar to the dusty hell of central Iraq, replete with drunken Russian pilots, conniving American politicians, and unlikely heroes. This is the first book in a trilogy ripped from today’s headlines that could leave tomorrow’s Europe on the brink of a new Dark Age.